Written by Liz Walhof on June 13, 2017 . Posted in Uncategorized. A growing number of schools are recognizing that they must start transitioning their learning environments toward deeper learning, greater student agency, more authentic work, and robust technology infusion. Making those transitions is complex work, however, and many school administrators and teachers aren’t exactly sure how to proceed beyond some vague ideas about doing things differently. Much like children exploring with Legos, TinkerToys, and Lincoln Logs, schools are experimenting with various combinations of these components to see what interesting things might emerge. One school might dive deep into student inquiry and flexible scheduling to foster greater student motivation via passion projects. Another might focus on its 1:1 initiative, bandwidth upgrades, and the use of open educational resources to create new instructional opportunities. Yet another might work toward integration of its teaching staff into online, project-based learning communities of practice, with a goal of sparking more student-driven learning in its local classrooms. Variations in configurations and depth are what give innovative schools their unique identities. Whatever the combinations look like, it is imperative that they be driven by shared understandings and commitments and be aligned with other school and district initiatives. Too many school organizations are guilty of implementing numerous disconnected change projects, none of which is deeply understood, seen as truly important by front-line staff, or implemented well. When done in combination and with fidelity – and when owned by those charged with front-line implementation, each of these building blocks can be a powerful lever for change. Each also can be disastrous if implemented poorly or in isolation. Educators and policymakers need to be exposed to various school models to see how these building blocks can be used together to accomplish future ready schooling environments. As varied as innovative schools are, they share one aspect in common: they’re amazing places for student learning. 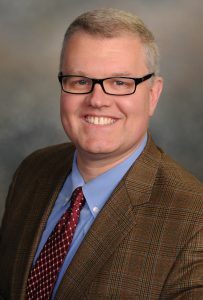 Scott McLeod, J.D., Ph.D., is an Associate Professor of Educational Leadership at the University of Colorado Denver and is the Founding Director of the University Council for Educational Administration (UCEA) Center for the Advanced Study of Technology Leadership in Education (CASTLE). He can be reached at Dangerously Irrelevant or at @mcleod.